If you’ve been involved in the health and wellness world lately, you’ve likely heard of the keto diet. The ketogenic diet, also referred to as the keto diet, is a low-carb, high-fat diet. With a very low carbohydrate intake, the body can run on ketones from fat instead of glucose from carbs. This leads to increased fat-burning and weight loss. However, as with any drastic dietary change, there can be some unwanted side effects. Initial side effects of the keto diet may include brain fog, fatigue, electrolyte imbalance, and even a keto rash. Here’s everything you need to know about the keto rash including what can cause it, how to treat it, and how to prevent it from happening. Keto rash, often formally known as prurigo pigmentosa, is a rare, inflammatory condition of the skin characterized by a red, itchy rash around the trunk and neck. The keto rash is a type of dermatitis that can occur in anyone but is most common in Asian women. Most of the in-depth research on the subject has previously involved young Japanese women. Research on the link between the keto diet and prurigo pigmentosa is limited. However, there’s some evidence that suggests a correlation between the two. In addition, there’s a strong correlation between this acute rash and the presence of ketosis, which is how it gets its nickname â€œketo rash.â€ Ketosis occurs most commonly as a result of uncontrolled diabetes or restrictive dieting. With the keto diet, the goal is to be in ketosis. In one case study, a 16-year-old female was found to have developed the rash roughly a month after undergoing strict dietary changes. In a similar case, a 17-year-old male sought medical care after developing both the rash and accompanying symptoms of arthritis. It was revealed during treatment that he had been following an extremely low-carbohydrate diet for more than a year. According to a review of the relevant literature, 14 different people over the course of two studies had been in ketosis when diagnosed with prurigo pigmentosa. There are also thought to be external factors that may aggravate the keto rash. These include things such as sunlight and excessive heat, sweating, friction and skin trauma, and allergens. If you believe that a recent change to your diet is the cause of your rash, you may want to consider reintroducing carbohydrates. One case study mentioned above found that incorporating carbs back into the diet, along with anti-inflammatory medication, significantly improved rash symptoms. If you’re not ready to completely give up the keto lifestyle just yet, you can always aim for a moderately low-carb diet instead. Nutrient deficiencies may play a role in certain inflammatory skin conditions. Deficiencies in vitamin A, vitamin B-12, and vitamin C have been linked with both acute and chronic skin conditions. If you’re eating an overly restrictive diet, your body may not be getting all the vitamins and minerals it needs. Eating an array of colorful fruits and vegetables is a great way to ensure that you’re eating all the nutrients nature has to offer. The keto diet places an emphasis on low-carb, high-fat foods. Some of the most common foods to eat on the ketogenic diet are eggs, dairy, fish, and nuts and seeds, to name a few. Coincidentally, many of these foods also happen to be on the list of common food allergens. With food allergies being a source of inflammation, it’s important to eliminate any foods you’re allergic to that may be worsening your rash symptoms. In addition to dietary changes, certain supplements may assist the body in fighting inflammatory conditions. Probiotics, prebiotics, vitamin D, and fish oil supplements have all been used in clinical studiesto help improve symptoms of dermatitis. A review of the current literature on herbal supplementation found that primrose oil may also yield promising results for those with dermatitis. It’s important to take care of your skin as much as possible. This is especially true if you have inflammatory skin conditions. The National Eczema Association recommends using lukewarm water for bathing and showering, and cleaning only with gentle soaps and cleansers. The group also recommends keeping your skin moisturized when dry and protected when out in the elements, such as the hot sun or cold wind. If home treatments fail to clear up the rash, a visit to the doctor may be necessary. Effective medications prescribed for prurigo pigmentosa are the antibiotics minocycline and doxycycline. Dapsone may also be used for treatment. Through dietary and lifestyle changes, it’s possible to prevent and ease the keto rash. If home remedies don’t eliminate the rash completely, visiting your physician may give you the support you need to fully clear up your condition. Slowly lower your carbohydrate intake. Rather than dropping your carbohydrate intake suddenly, try to taper carbohydrates out of your diet more slowly. Supplement with a multivitamin/mineral initially. A once-a-day multivitamin or multimineral can help reduce the likelihood of nutrient deficiencies as you start the keto diet. Check out what nutritionists say your multivitamin should contain. Consult with a doctor. If you’re concerned about any of the side effects of the keto diet, including the keto rash, visit your doctor for more information. They may refer you to a dietitian who can help you transition to the keto diet safely. 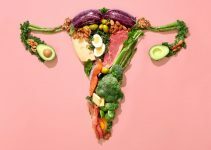 Will Keto Diet Mess With Your Period?